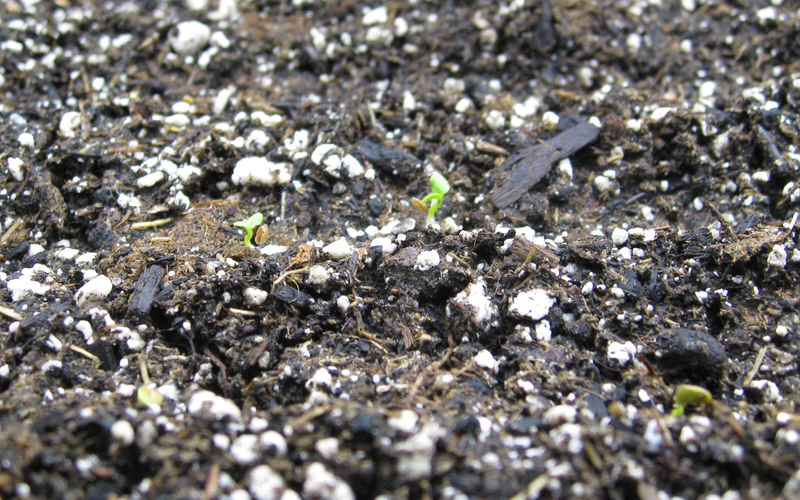 This (terribly exciting) photo represents the first little green shoots of my farm-to-be. They currently live in my kitchen, until enough snow melts that beds can be made for them outside, and they can become stock flowers in a couple months. So it's not much to look at... I'm still excited!